Sustainability: Copper is one of the few metals that is fully sustainable. Although large quantities of copper are mined every year we are in no danger of running out, as to date only 12% of the current known reserves have ever been mined. Most mined copper is still in use and approximately 55% of copper used in Architecture comes from recycling. Environmental Implications: Copper is a wholly natural material present in and essential to all plants, animals and humans. Unlike other metals such as lead, copper is non-toxic and does not accumulate in the body. Long Life: Copper can be traced back for use in roofing and guttering to 27BC when the roof of the Pantheon in Rome was covered in copper. It is a pure, natural material with the added attraction of unique changing visual characteristics. Offering an effectively indefinite design life, it is extremely durable and resistant to corrosion in any atmosphere, requiring no decoration, cleaning and virtually no maintenance other than the removal of debris that may fall into the guttering. Copper is environmentally friendly, fully recyclable, safe to use and can be worked at all temperatures. Low Maintenance: Besides its high corrosion resistance and attractive appearance it also acts as an algaecide and fungicide, keeping growths such as moss and lichens to a minimum. This is important as these growths can cause blockages and additional maintenance in all other types of gutter systems. Tried and tested fixing details and techniques make copper the most trouble-free material for roofing, cladding, flashing, gutters and down pipes. 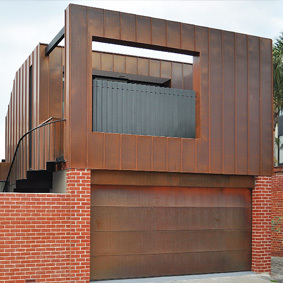 Durability: When copper is exposed to the elements, it protects itself by developing a patina over time which reforms if damaged, ensuring durability and resistance to corrosion in virtually any atmosphere. Unlike other materials copper does not suffer from underside corrosion. Cost Comparisons: Over the life cycle of a building copper generally is one of the most competitive building materials available. Compatibility: Copper is compatible with stainless steel, cedar shingles, lead, and cast iron. 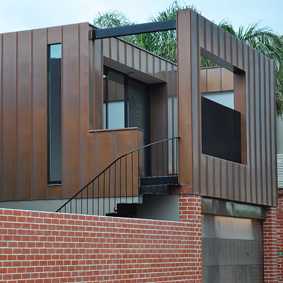 Copper gutters can be used for rainwater run-off from fresh or old concrete. It cannot be used on flat bitumen sealed roofs where ponding can cause high concentrations of acid build up or with zinc and aluminum as the copper will cause the other metal to corrode. The Future: With growing awareness of environmental issues and increasing concern for the health and safety of those constructing and maintaining buildings, copper is more than ever the most cost effective, adaptable roofing and guttering material of the future.